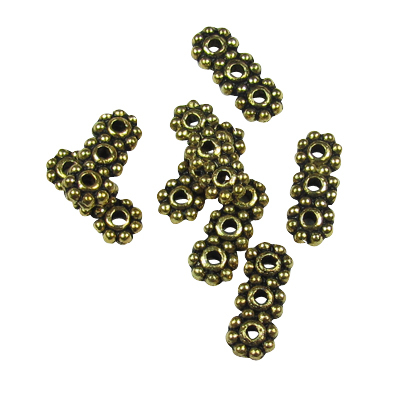 Antique gold finished metal connector beads. Pre-packaged for fantastic value for money. Cute brass connectors, in the shape of a bird. Very vintage! 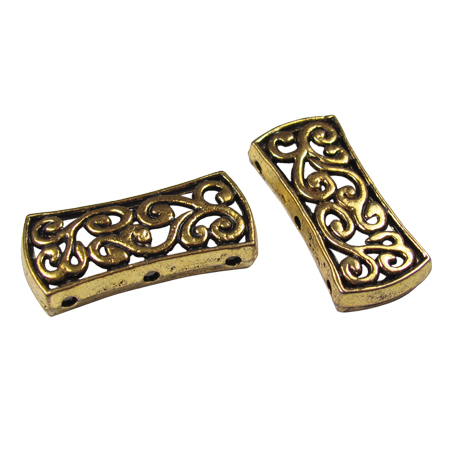 Gold Toned 2-hole Daisy Spacer Bar. Approx. 150 beads per bag. Approx 7mm long, 3.5mm wide. Gold Toned 3-hole Daisy Spacer Bar. Approx. 80 beads per bag. 10mm long, 4mm wide.